I believe that children's ministry is the most important ministry in the church. We must make reaching and teaching the next generation a top priority. Sad to say, in many churches children's ministry is simply looked upon as "childcare" or a secondary ministry. It's time we elevate children's ministry. It is the future of the church. It is the greatest mission field. It is the heart of Jesus. 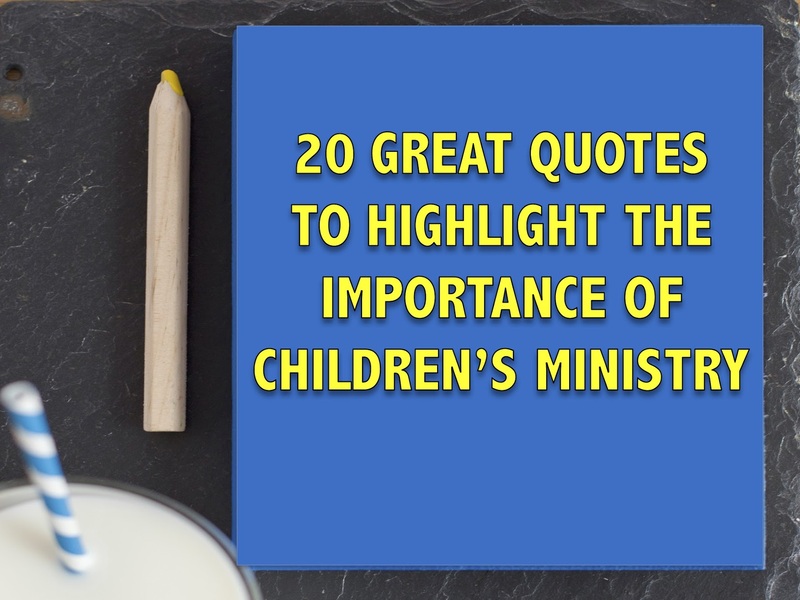 Here are 20 great quotes you can use to highlight the importance of children's ministry in your church or ministry. Pass these long to your church leadership. Put some of them in your church bulletin. Tweet them out. Post them on Facebook. Share them on Instagram. Spread the word about children's ministry! Children are not just the church of tomorrow. They are the church of today as well. When you take a child by the hand, you take a parent by the heart. 85% of people who come to Jesus do so before the age of 18. There is no Jr. Holy Spirit. Kids come to Jesus just like adults do. The Bible doesn't tell children to become like adults to be saved. Rather it tells adults to become like children to be saved. Time spent ministering to a child is never time wasted. Children are the church's most valuable resource. How you speak to children becomes their inner voice. Little feet will one day make big footprints. Everyone talks about leaving a better planet for our children. Let's leave better children for our planet. What other quotes have you heard about children's ministry? Share them with everyone in the comment section below. And let's use these quotes to share the importance of children's ministry. Be the champion for children's ministry in your church, ministry and community.